in the night sky, its tail a loose dangling of mangled light. Soon, scientists walked out of interviews, one by one. We could leave no mark here except on each other. We could save nothing to outlast cosmic dust. to be fruitful, the primeval need to multiply, usurped. Ann Thornfield-Long lives in East Tennessee. Her work appears in venues such as The Tennessee Magazine, Tennessee Women of Vision and Courage (Crawford and Smiley 2013) and The Tennessee Sampler (Peter Jenkins and Friends 1985). She’s an established journalist, editor and publisher for regional newspapers. She has also worked as a nurse and first responder and dispatcher for The Norris Volunteer Fire Department. She has taught creative writing classes, and is the sister of Pulitzer Prize-winning investigative reporter, Dan Luzadder, with whom she maintains great sibling rivalry. Editor’s Notes: It’s not that often that my own work inspires another’s. But here is the case where it did. Ann wrote this poem after reading my poetry collection, Apocalypse (Alban Lake Publishing, July 2015). 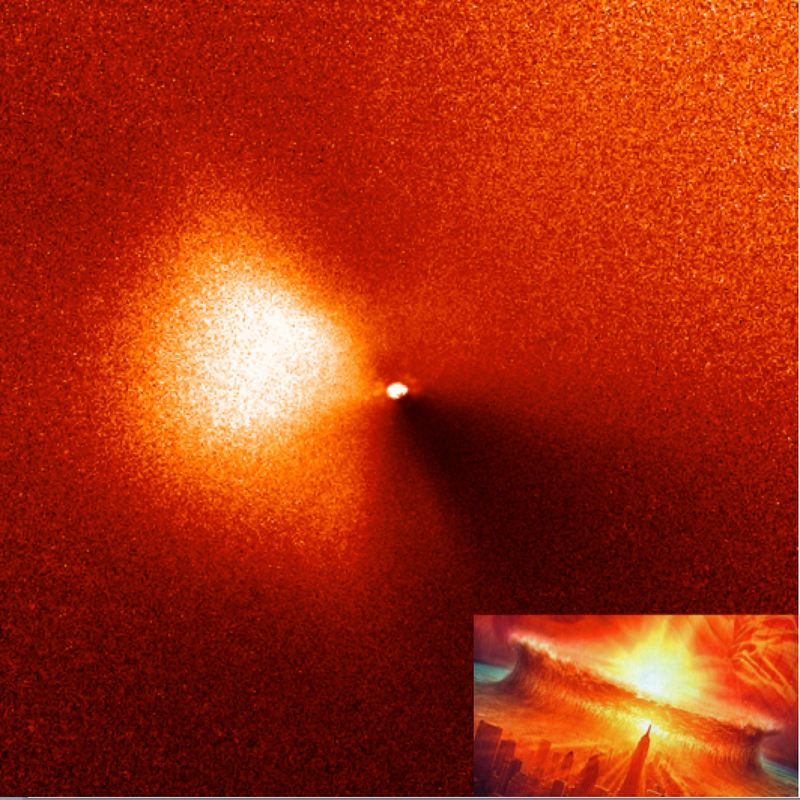 The image is from Hubble: “In a dress rehearsal for the rendezvous between NASA’s Deep Impact spacecraft and comet 9P/Tempel 1, the Hubble Space Telescope captured dramatic images of a new jet of dust streaming from the icy comet.